Since 1996, Susan has initiated hundreds of individuals into the transformative experience of yoga by creating a welcoming atmosphere based on the Kripalu tradition of compassion and self-acceptance. Gwendolyn Alker will now be teaching the summer classes beginning July 2, 2019. 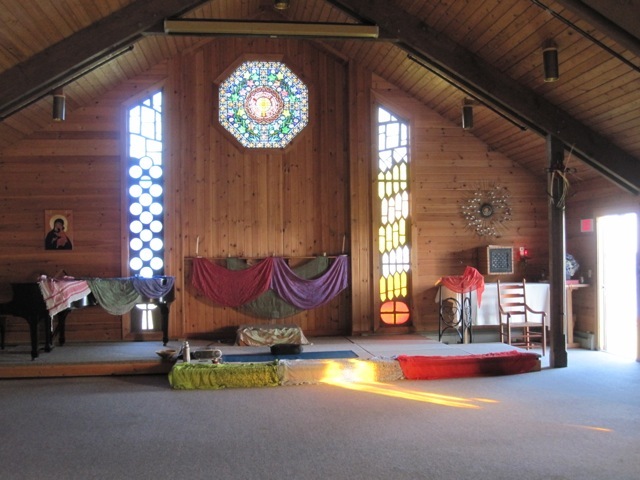 Susan will continue to lead restorative yoga retreats around New England including on Block Island. Drop-Ins, 1st time practitioners and those with limitations/ injuries are always welcome. St. Andrew's Parish Center. 22 Spring St: From the ferry take a left on Water St. At the statue of Rebecca (and stop sign) go straight up Spring St. Follow Spring St. as it winds to the left and in front of the Spring House Hotel along the pond on your left. St Andrews is the third building on your left after the straight away along the ocean. It has an anchor/cross on the roof.